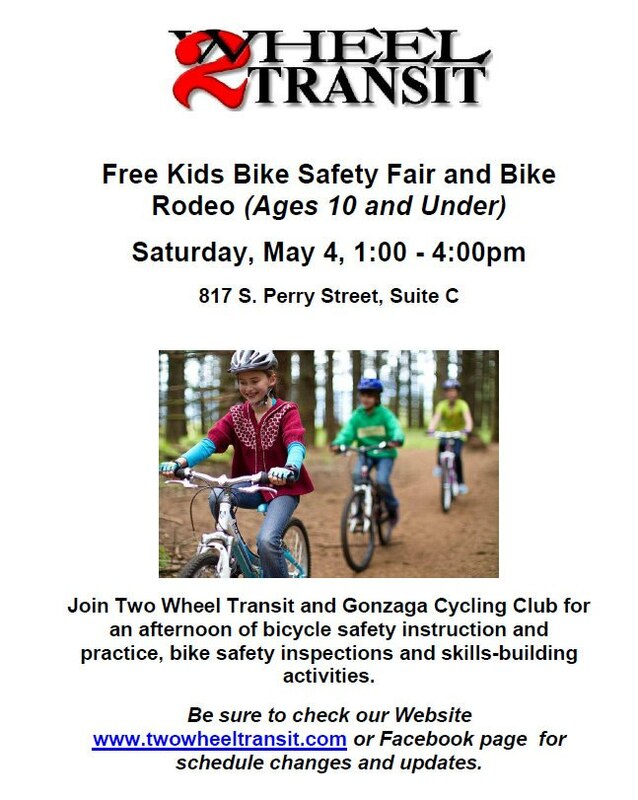 Join 2 Wheel Transit and the Gonzaga Cycling Club for a bike safety rodeo this Saturday, May 3. 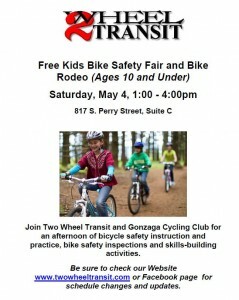 Bring your kiddos and get them ready for summer riding! Click image for details.